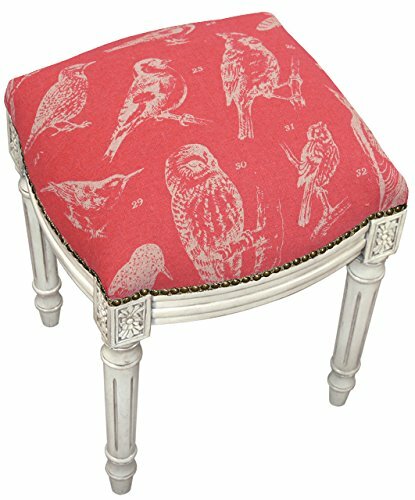 This beautifully designed stool accents any of your rooms and provides a fun and stylish extra seating. It's carved with solid hardwood and upholstered with 100-Percent linen fabric with hand-applied brass nail heads. Antique white finished.